.The owners of small apartments are well aware of how difficult it is to place everything you need in a small area. As a rule, when planning these apartments hardest suffering bathroom. If it's not possible to increase, then why not consider options for its transfiguration? When finishing the bathroom, experts advise to use the tile, and you must first select a tile, and then choose the plumbing and bathroom furniture. 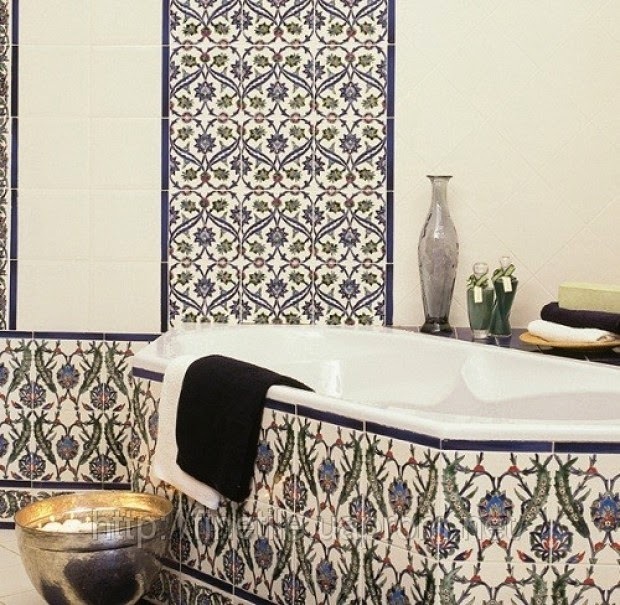 For small bathrooms, designers are advised to select a tile small size and bright colors. Then the space will look larger. 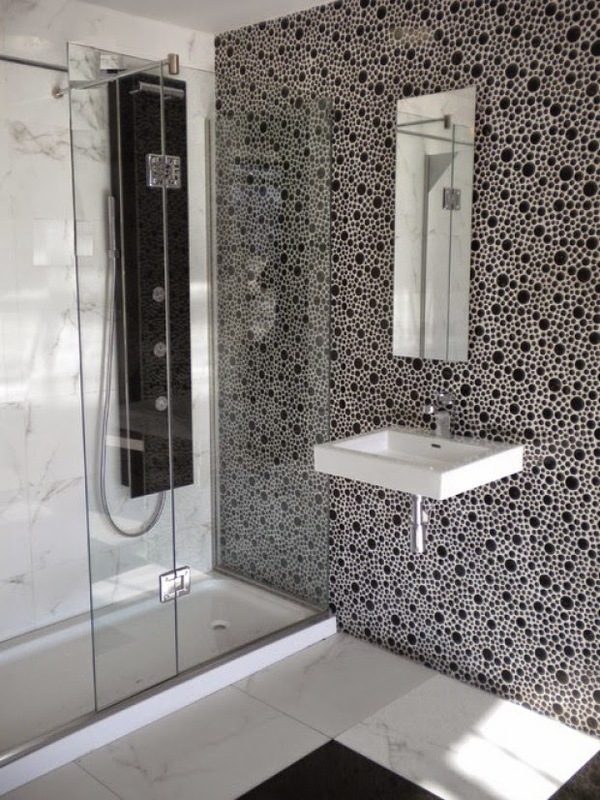 The ideal option may be called glass mosaic, which creates the illusion of distancing the walls. Floor prefer warm light colors. 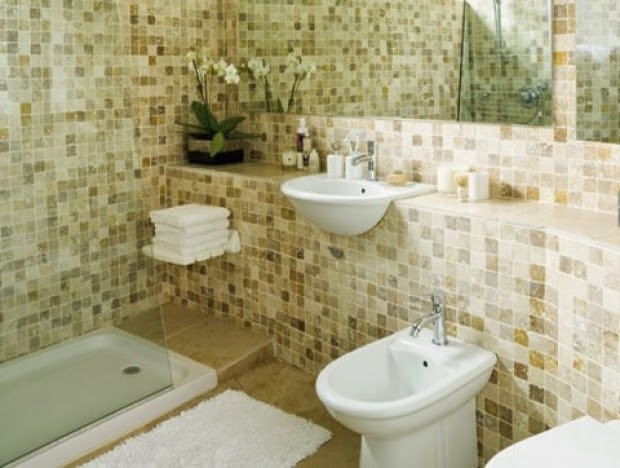 If you are limited by the size of the room, try to shorten the distance between the essential elements of your bathroom. For example, slide the toilet harder to sewer, move closer to the bathroom sink. It may not look too aesthetically pleasing, but the functionality of the room dramatically increase. Do not forget, however, for the convenience. 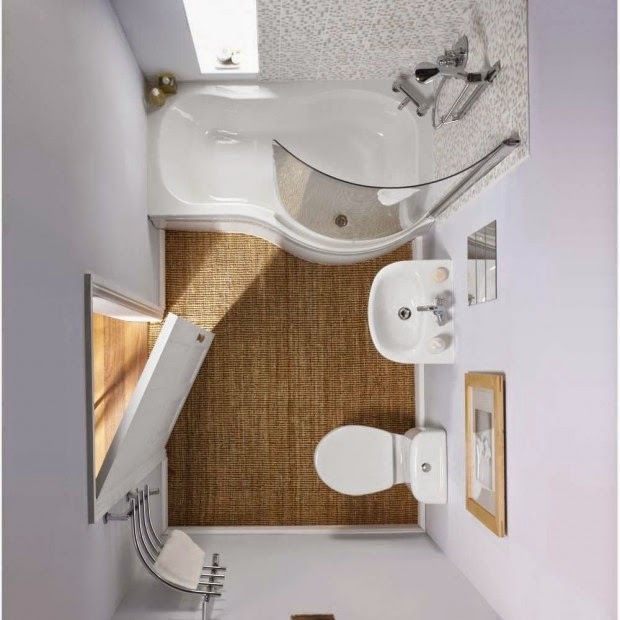 Your bathroom - this room, which you will use often. Assess what is more important - the free space or a large shower. Although the architecture rules that door to be opened inwards in small bathrooms about this rule can be forgotten. Let your bathroom door opens outwards or sideways along the wall. Mirror in the bathroom needed - everybody knows it. But the question is how it will be a mirror. Designers are advised to use at least one large - place it is necessary to sink, and two more in other places small bathroom. Thus you allow light to spread evenly around the room, and she, in turn, will appear larger. 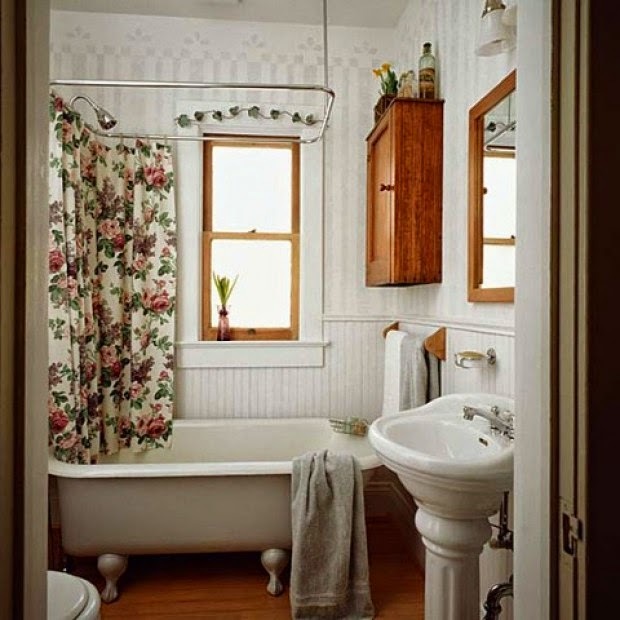 If you live in the house, and you have the opportunity to make at least a small window in the bathroom, use it. Natural lighting is always better than artificial (not to mention saving electricity). If this is not possible, the designers are advised to make an imitation of the window with light and peaceful surroundings. In addition to the upper world, they also recommend to use additional lighting. Often, bathroom furniture is equipped with built-in lights. 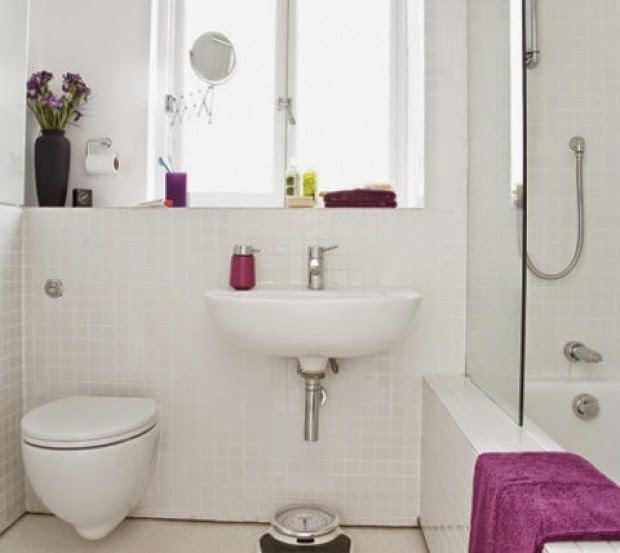 For small bathrooms as the best option would be compact and discreet plumbing. 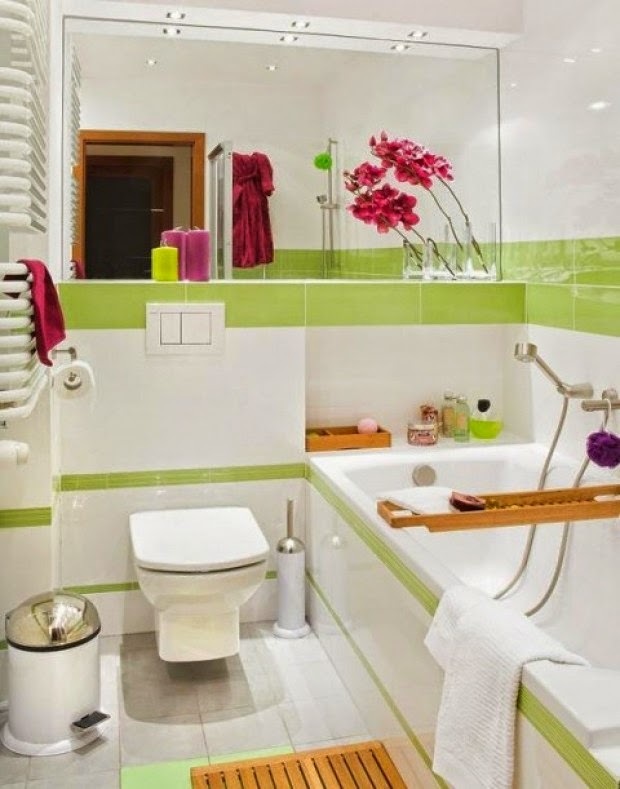 Try to choose furniture and fixtures for the bathroom, white (or pastel), they fit perfectly in your bathroom. In a small room, large closets will look bulky. But the glass cabinets on the contrary will add lightness. 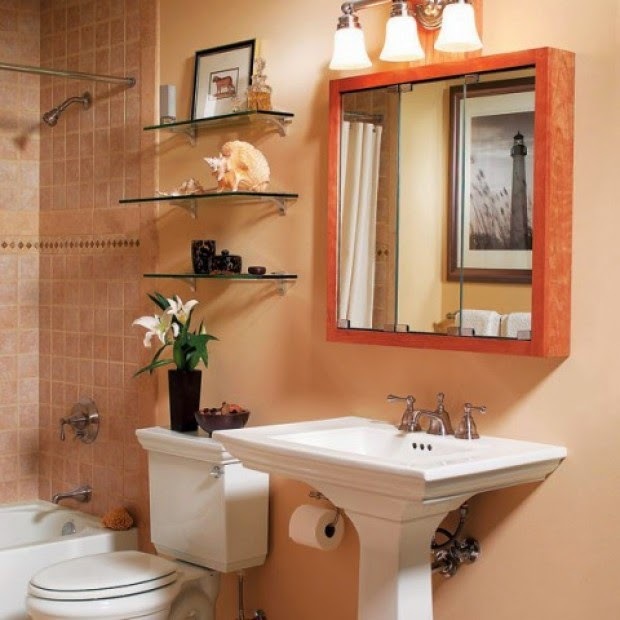 We offer you some interesting ideas that will help make a small bathroom a little more. Use white as a base. 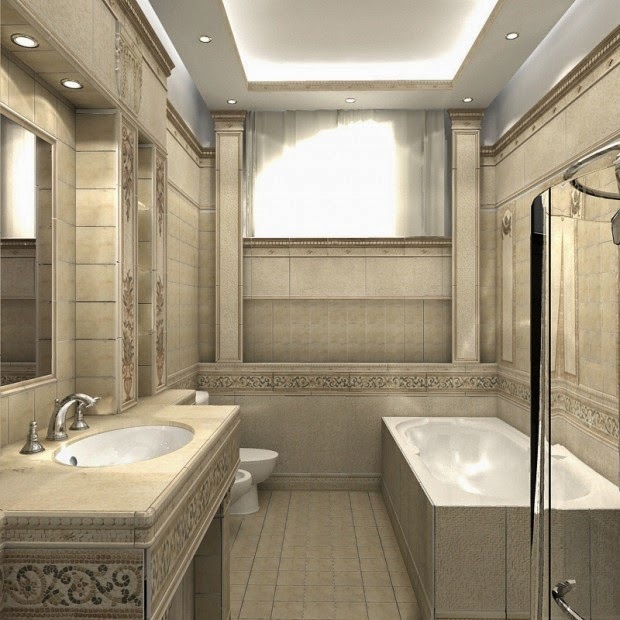 White - quite a popular color for bathrooms. 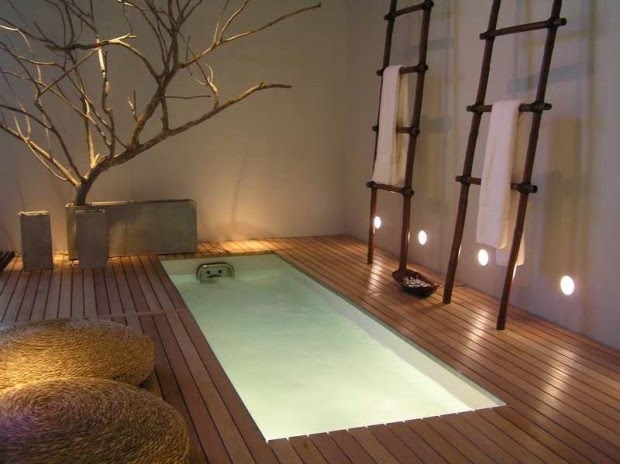 Firstly, it always gives a feeling of cleanliness, and secondly, increases the space visually. In addition, choose furniture and decorative elements for such a background is simple, with white combined with almost any color. Try to use parts and accessories made of shiny metal or chrome. 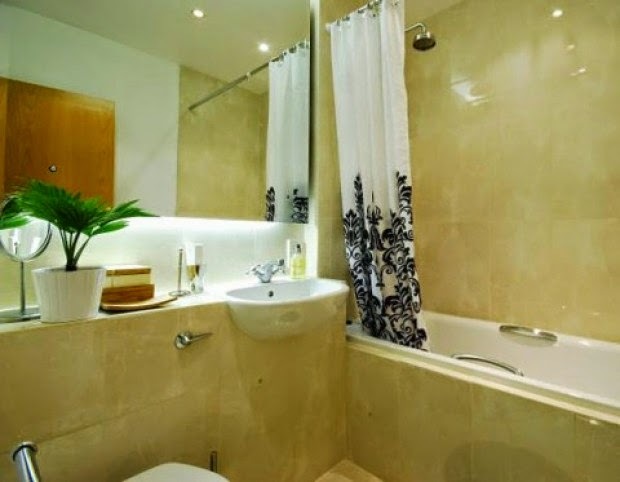 Chrome surfaces reflect light very well, so your bathroom will become even lighter, and it will become even more sound. You can also replace conventional doors on sliding, it will save space around the home as a whole. If you use textiles, try to choose light pastel fabrics. The use of glass will give the room lightness. For example, glass shelves do not clutter the space. A glass sink - is not only a stylish piece of furniture, but also an element of plumbing, visually enlarge the room. Use interior items that match the color of the main background. Better yet, those that fall completely in tune. Thus all the necessary items will be in the bathroom in sight, but will not draw attention to himself, merging with the walls. It will also create the illusion of more space. 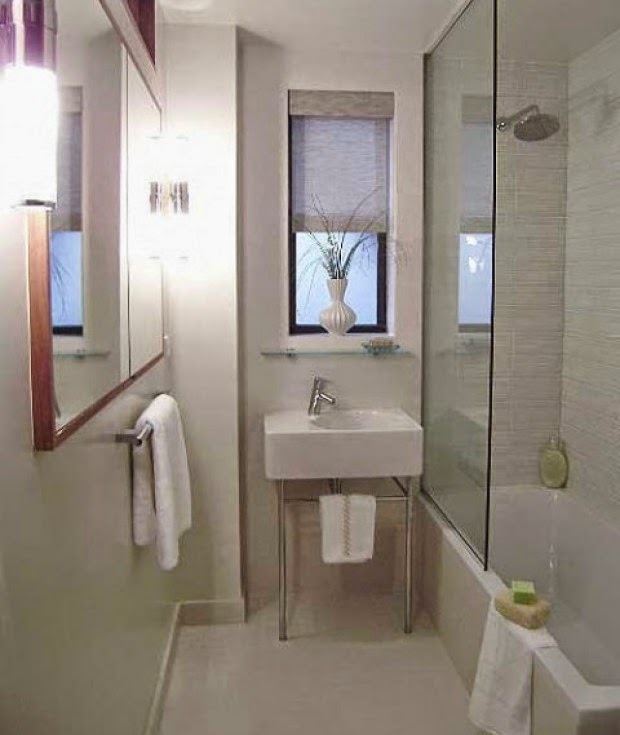 If your small bathroom low ceilings, try to choose a tile with a vertical pattern. You can arrange the frieze little higher than usual, and also achieve the effect of increasing the height of the room. Just try to use a frieze with a small pattern, so as not to burden the space. 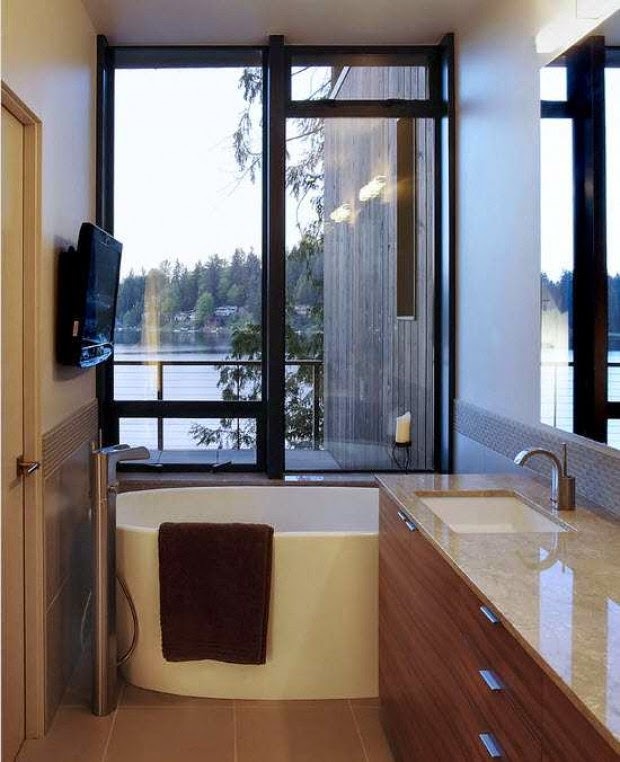 In small bathrooms usually installed showers to save space. It certainly works. But if you put a shower with clear glass, the effect will exceed your expectations. The small room is no place for large things. Even if you really like big soap dish or large lamps have to give them. Small elements of the interior create the illusion of more space, while large produce the opposite effect. Do not overload your bathroom. This advice is especially for women, of course, no one forces you to abandon the creams and lotions, but they have no place on open shelves and ledges bathroom. Put all the bottles and jars in the cupboard, you'll be amazed just how the room will increase in volume. Also, designers are not advised to use a large number of accessories. They overload the space. If possible, use the built-in cupboards and drawers, they are significantly free up space. 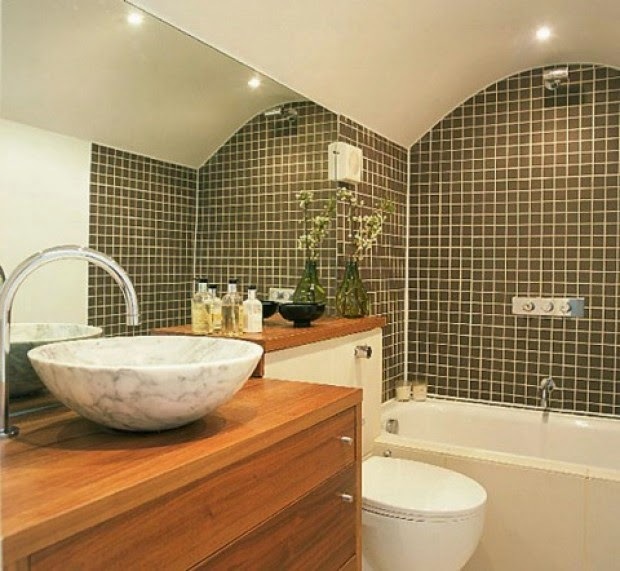 Do not forget that style of interior bathroom should match the style of the bedroom. Try to sustain the harmony of color palettes, patterns or materials. 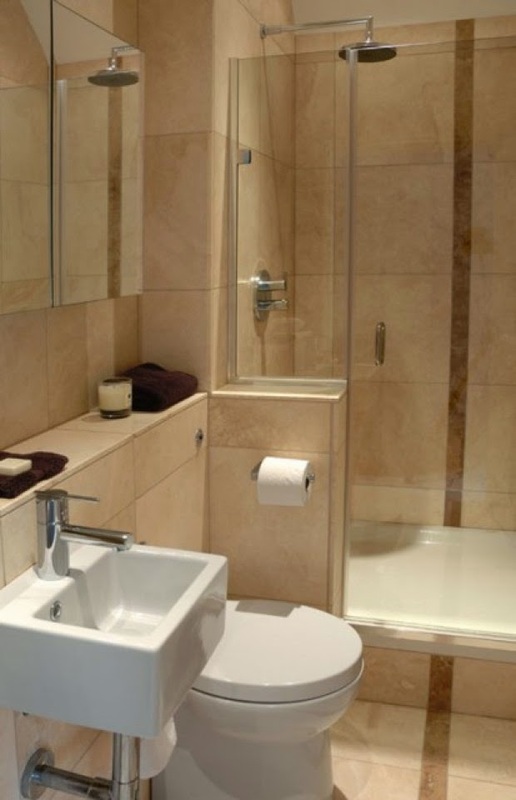 We offer you several options for planning small bathrooms. 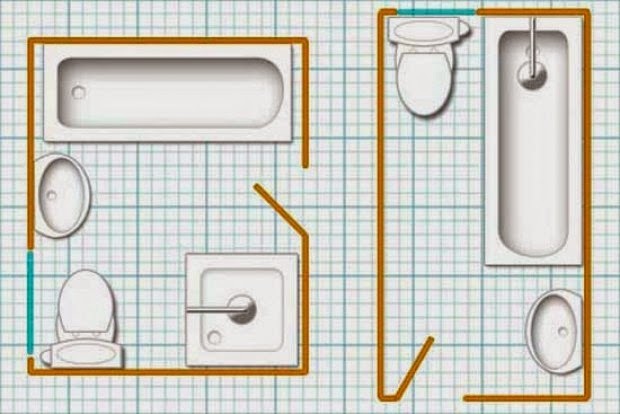 Do not forget that repairs in the apartment must begin with a plan, especially repairs in the bathroom. 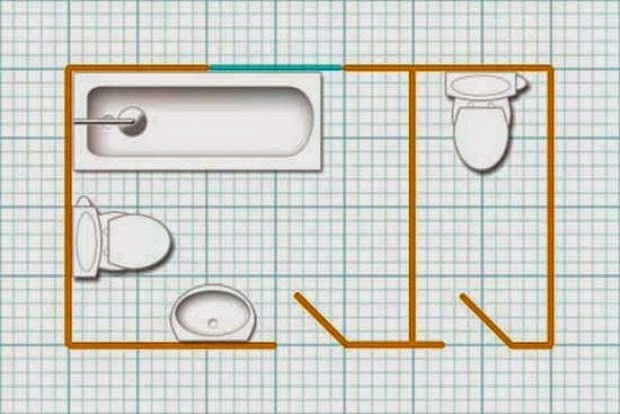 Carefully measure the space to make the project a bathroom of your dreams, and you are sure to succeed.